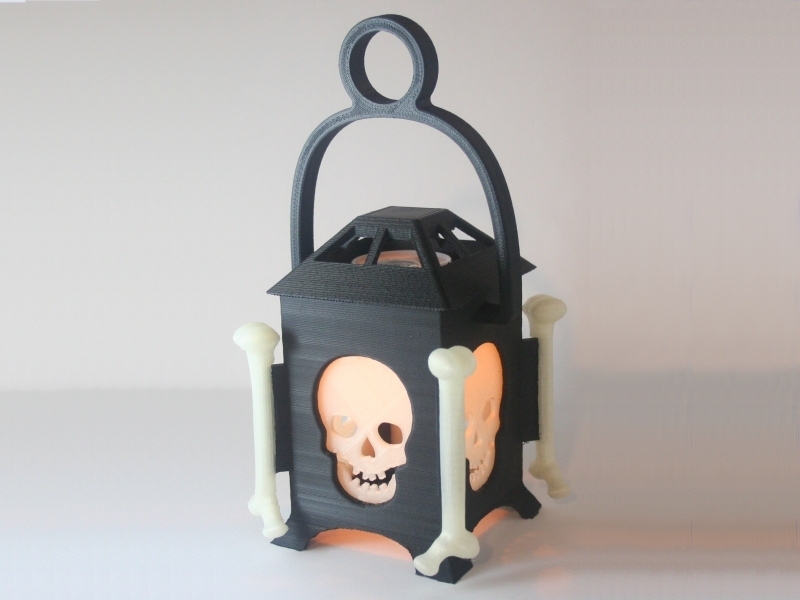 LED Skull Lantern #3DThursday #3DPrinting « Adafruit Industries – Makers, hackers, artists, designers and engineers! Thingiverse user Festus440 shared a very classic 3D printed halloween project. This little lantern uses an inexpensive battery operated LED “Tea Light” candle that can be purchased at most craft stores or on-line. (I paid $1.99 for one at the local craft store.) The tea light is mounted upside down in the top of the lantern. The handle is optional. You don’t need if you aren’t going to hang the lantern.